We are a US based translation company which provides Vietnamese translation services for any documents so matter if you’re looking for certified Vietnamese to English translation for immigration or English to Vietnamese for business, we can help you with highly accurate translations at low rates. The number of people using Vietnamese adds up to give considerable opportunities in the field of Vietnamese translation, especially English to Vietnamese and certified Vietnamese to English translation. We can help you with accurate translations for documents in any field and we are available around the clock, including during the weekend or legal holidays. At UTS, we believe that the best translators are native speakers. Our professional translators are fluent in Vietnamese and English and know the culture of both languages all of which contribute to accurately translate the meaning of the source document. We are able to provide Vietnamese translation services for businesses and individuals alike. 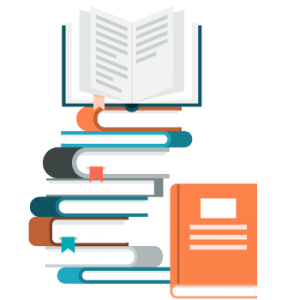 Although we are using a full TEP process where a second translator proofreads the translation done by the first and therefore providing highly accurate translations, we also sport some of the lowest rates one can find for this quality level. If you were looking for quality services, outstanding customer support and low translation rates, we are probably your best bet. Vietnamese is the official language of Vietnam accepted as the primary language by nearly 86% of the Vietnamese people. The number rises when the almost 3 million Vietnamese living abroad are taken into account. Most of the Vietnamese people who left their country can be found residing in the USA. Vietnamese is the 7th most-spoken language in the USA. It is also used in other countries including Cambodia, Thailand, and China. Certified translations are a particular kind of translation needed by U.S. Immigration (USCIS acceptance), passport office usage, high school and university application and enrollment, and many other local, state, and Federal official uses. Certified translations are delivered on UTS letterhead and carry a signed and stamped Certificate of Translation Accuracy, which states to the accuracy and completeness of the translation and the skills of the translator. 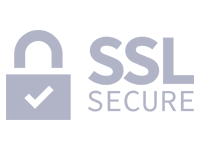 If certification isn’t needed, we also offer general translation, which is accessible in an editable form and is used for business or personal purposes. We can translate your birth certificate, marriage certificate, divorce decree, passport, visa, police report, adoption papers and other immigration documents issued in Vietnam. We translate your documents to English and certify them following U.S. Citizenship and Immigration Services and U.S. Passport Office requirements. 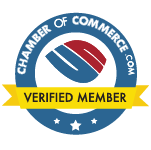 “Certification by Translator” form transmits raised corporate seal and authorized signature with a statement as required by translation for USCIS. Our Vietnamese translators are expert in a wide range of Vietnamese document translations. We take the time to understand your requirements and then suggest the right solution. We provide highly qualified, experienced, certified and qualified translators. Our Vietnamese translators have industry expertise in legal document translation, marketing and websites, medical records translation, technical and engineering documents, birth, marriage and death certificates and much more. Any certified Vietnamese to English translation coming from us is guaranteed to be accepted at USCIS. When you need Vietnamese translation for business, you need to know that your translations are accurate. UTS provides high-quality language services designed to help companies to succeed. All our translators are experienced, so you understand you are going to get a professional translation of the highest quality. As always, we offer competitive rates, fast turnaround, and free views on all translation projects. When you do business with Vietnamese people, you need to have precise translations of business agreements and other professional papers. Our translators will help your business go to the discussion table confident in the documents you are showing. Using our translation service will allow your business partners to focus on making good business relationships instead of translating all of your documents. This will make them navigate the business history of Vietnam. Our team also specializes in contracts, so all of your legal terminologies will be translated precisely. When building a partnership with Vietnamese businesses, or targeting the Vietnamese people, accurate translation of Vietnamese documents is a must. By offering Vietnamese content on your business website and marketing material, you can start correlating with a broader audience. When you are proposing a product to a different country, the ad campaign in your language often does not help. Since our specialist translators know the culture of the area, they can help localize your campaign according to the customs of Vietnam. We also offer website translation, which is essential in making a good impression. If you rely on automated online translators, you will get a literal translation that usually does not cross cultures very well. We can assist you to set up websites for the country with which you do business. These services make it feasible to market your products around the world. Why Trust Us for Your English to Vietnamese Translation Needs? With Vietnam now becoming popular outsourcing and tourist destination we see a significant increase in the number of certified Vietnamese translations we do. Nearly all of our Vietnamese translators live in Vietnam and also have qualifications in English ensuring the highest quality translation. You can easily get certified Vietnamese to English translation services from companies online. 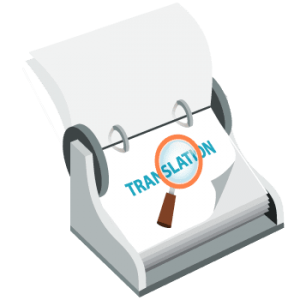 You can find a Vietnamese translator if you need one, but when you come to Universal Translation Services, you are ensured of the highest quality translations at the best rates. This is because we have hundreds of certified Vietnamese translators who have proven themselves by producing the best quality work consistently. 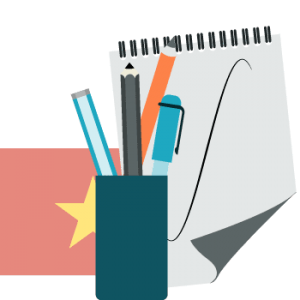 Several translation agencies are providing Vietnamese translation, and it’s difficult to know which translation agency will meet your needs best. You would like to tick all the areas: quality, competitive pricing, and turnaround time. We would place translation quality on top of the list, whether it’s for Vietnamese translation or another language because it’s useless if your cheap translation is going to harm your company reputation. This is true in Vietnam, where you probably won’t have the excess of undoing a bad translation once it’s been accepted by your Vietnamese business associates, especially if you can’t speak Vietnamese in the first place – it would be doubtful you’d know. Vietnamese may be a tough language to translate to English, yet our certified translators are able to provide highly accurate Vietnamese translation services for both businesses looking to expand and for individuals looking to immigrate to the US. Get in touch and enjoy high quality services at some of the lowest rates one can find! Questions? We are here 24/7!